So here's what I want to fix. Equipment, Audio, Video, Scratching, Mixing, hell - pretty much everything. In the meantime, if you've got a question, just get in touch. I may be too busy to trawl amazon and write HTML links, but I'm not too busy for you!! Plus, I've added the Audio Files Package for beatmatching to the Audio Page. This will be backed up by an accompanying video soon, but hopefully you'll find them useful even on their own. 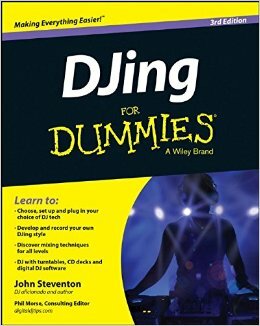 You can now buy DJing for Dummies directly through this website, for 12.99 + p&p (UK Pounds) - but, because you're buying it from me - you get a signed copy! It's currently only available for UK, US and Australian customers, but please email me, and I'll add your country to the shipping destination. Go to The DJ4D store to buy it. I'm spending some time making some new videos for the site. I've not put them on here yet - but they ARE on youtube, where I'm testing what the response is before going live here. Go to www.youtube.com/DJrecess to see my 'channel'. All the videos from this site are there, and a few new ones (hopefully LOTS of new ones over the next couple of weeks). I've also added a couple of links to the site - Online Directory DJsites.eu - an online directory of everything DJ related) and Australian DJ Store - www.storedj.com.au has been added into worldwide shops (somewhere in Australia to buy your DJ gear (and my book!). Check back for the videos. Yup, I promised there'd be no more - but as the last one was from 2001, and a lot has happened since then, I thought it best to give you something a bit more up to date. Go to HERE to download it directly, or to HERE to check out the tracklisting/walkthrough (and another download link). Get money off Slappa Cases! Due to my promotion of the Slappa CD cases through this site, they've been nice enough to offer a 5% discount on their products when you click on the links from this site (Like this one) or enter "Recess" in the discount code section. How nice! Probably redundant, as this server is more reliable, but there's now a mirror of this entire site at www.dj4d.com. Hopefully you won't need it, but in case this host goes kaka, remember www.dj4d.com - just in case. Just been doing a little housekeeping on the site, but I've also made a page dedicated to the myth of being able to remove the vocal or beat from a tune. Check out the mixing tab in the menu, and the 'Removing Vocals/Beats' link to go see it. DJing for Dummies, 3rd edition - out NOW!! Now being the end of October 2014. The past year has been a bit of a whirlwind for me - the day job has been incredibly busy, editing the Commonwealth Games taking up most of my time - but I had room to write an updated version of DJing for Dummies! And it's out now. It's a third edition that was well needed in today's market. Pretty much every chapter has been pulled apart and rebuilt, but the main thing that's in here now is a lot more to do with Digital DJing. I thought the 2nd edition would cover it well enough, but as technology and options have expanded since that version came out, it became very apparent that it needed an update. Fortunately, the publishers agreed. It's availbe now in the UK and in the US. It'll trickle out across the rest of the world soon. The updates in the third edition aren't just about Digital DJing though. I've gone through each chapter, from equipment to mixing techniques and playing live and written them with more information, and more relevant information at that!! In response to the release of the 3rd edition, I'm now chopping into this site and doing the same thing. I've already completely re-written the Digital DJing page, and I'm now attacking all the supporting files pages - and I'll finish by ammending all of the equipment and mixing pages too. Follow me on twitter if you want updates on how this is going, or just check back here once in a while. I've now gone fully digital too. I've ditched the CDJs and the Technics 1210's and gone with a much simpler setup. Traktor Pro and an S4 Traktor Kontrol. I miss the tactile feeling of using the TT's and control vinyl, but the expanded options and quicker access to controls coupled with how portable this makes DJing (a control and a Macbook) means I'm happy. Here's a pic of the setup as it was with the CDJ's - not much different than before, just with the laptop in the middle and the Audio-8 underneath. I'd post a new one of just Kontrol and the Macbook, but that's not really exciting! DJ4D goes German and Spanish! I've been thinking about how to break out of the book in terms of helping visitors to this website learn how to improve their beatmatching. And I think I've got it. Using Videos on the Video page (naturally) and Audio Clips which you can download from this website, I hope to be able to give new DJs a learning boost, and hopefully show some of the more experienced DJs another way to do this. The Audio Clips are available to download through this link, or if you want to read a bit more about them, check out the Audio Downloads page for more info. The Video Clips can be found either on the Video page on this site, or through my YouTube channel. You're looking for the 'Basic Beatmatching' and 'Quick Beat Matching' videos. Buy a signed copy of DJing for Dummies here! You can now buy DJing for Dummies directly through this website, for GBP12.99 + p&p - but, because you're buying it from me - you get a signed copy! It's currently only available for UK, US and Australian customers, but that's just because I can't think of any other countries who might want it. Please email me, and I'll add your country to the shipping destination. Go to The DJ4D store to buy it. To back up all the info in DJing for Dummies, and on this site, I've made (and am currently making more) videos to help you visualise what's going on. They are contained in this site, but I've also made a 'Channel' on YouTube so you can access them all without having to find them, or download them to watch them. This site has been here for 10 years, and has always been about helping new DJs learn DJing skills, and give advice and tips to the more experienced DJs out there. As I've just released a book, DJing for Dummies (for the folks who make Windows for Dummies etc) - this means that this website is now ALSO a resource for the book, including video and audio clips, information about buying DJ equipment (turntables, CD decks, mixers etc) and giving you a place to ask questions when you need advice. 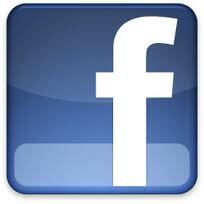 Those of you who have been here before may notice that some of the information is currently offline. Info about scratching, advanced DJ equipment, making demo tapes, trying to get work, and what to do in the DJ booth once you get work is all currently being updated (along with more additions, like how to use Pioneer CDJ1000's and the Pioneer DJM600 mixer). Be assured though, this website will ALWAYS REMAIN a free reference for new DJs - the book builds upon, consolidates, and solidifies the information. But on top of that, as once a book is released, it can't change - this site will contain all the 'update' material that a book can't contain. Information about new equipment, new techniques, new music - pretty much anything new that isn't contained in the book - I'll put it in here under menu heading above. Phew, that's a lot of words for an intro!! Don't be concerned that if you don't own the book there's no point in this site for you - there is. All the audio and video clips are still explained fully - so though this site doesn't contain as much text as the old version - it still contains the same information - just not quite as wordy!! Don't worry - I'm working as fast as I can get edit round the copyrighted material, but I'm afraid I'll need to ask for a little patience. Hopefully soon, it'll all be good. However, if there's anything you're unsure about, want cleared up, or need guidance on, PLEASE email me about it - the link it at the top right of this screen. Firstly, I commend you on making it this far through my inane drivel to read what this site contains. If you've enjoyed it so far, hopefully you find me amusing (or are just that special kind of person who likes pain) and you should find the writing style of the book enjoyable too. Although I've had to watch the content of this site, to make sure it's not breaking copyright and contract issues with the Wiley Publishing folks, it's still jam packed with information (all of which you can access through the menu bar at the top of this page). If you'd like to know the full extent of material on this site, I'm in the middle of making a site map for it - check back in a day or two, and hopefully it'll all be here. But, for the time being, just use the links in the menu at the top of this page - it's the same thing!